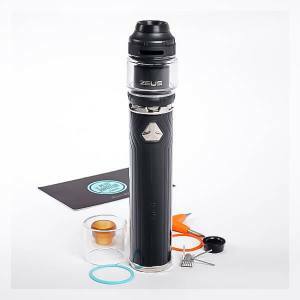 For confirmed vapers who wish to pass over to superior speed all in optimising their experience in vape, the purchase of a MOD Electronic Cigarette quickly becomes unavoidable. Large consumers, amateurs of poweful flavour or vapers in search of new material will find our range of MOD Electronic Cigarette Kit which allows you to enter barefoot in the world of MODS. 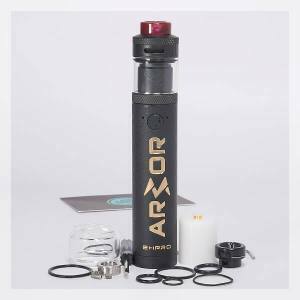 Quality Products and packaging known by specialists for amateurs, here you will find all you need to buy amongst our collection of MOD Electronic Cigarette. An elegant and performant kit with the Luxe double battery box (18650) and reconstructible atomiser Zeus X RTA . A double battery (18650) 100% BF Box, 8ml and dripper dual coils 24mm in diameter. 240 Watts.